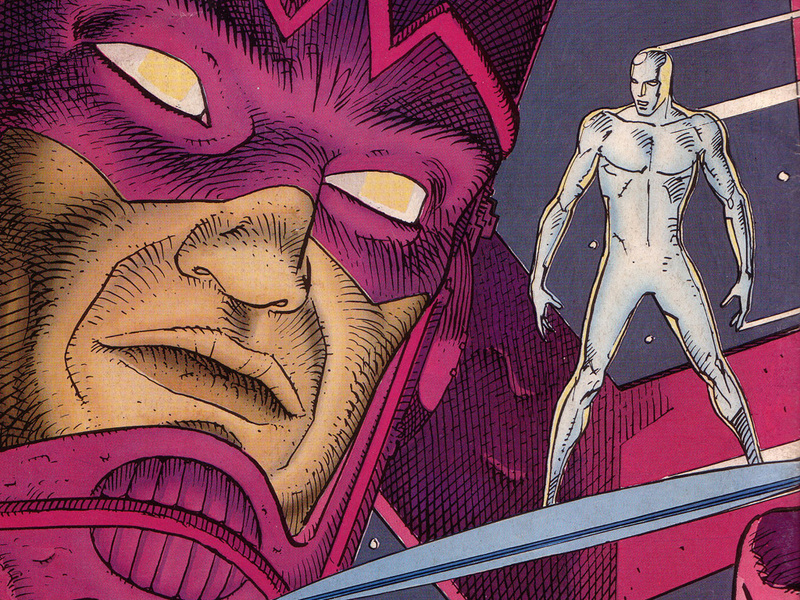 You are here: Home / Featured / Question of the Week: What’s a Good Silver Surfer Reading Order? Question of the Week: What’s a Good Silver Surfer Reading Order? My man Nik then went on to offer some baller bribes. It worked! Here’s a Silver Surfer reading order to get you through the vast majority of the Sentinel of the Spaceways! Before you begin, I should note that Silver Surfer is substantially more limited in Marvel Unlimited than many other Marvel mainstays. His early material is very available, but once we progress to the 1980’s the library dwindles big time. Fortunately, you’ll still be able to enjoy Surfer classics like the Rebirth of Thanos (setting up his involvement in Infinity Gauntlet). Silver Surfer duels the Hulk. For the record, these are totally in Marvel Unlimited. Silver Surfer gets his own, relatively short lived solo series from Stan Lee and John Buscema. He is Shakespearean and mopey as heck. To my surprise, also totally in Marvel Unlimited. FF and Silver Surfer vs. Galatcus! The first eleven issues, are fortunately in Marvel Unlimited. After that, it’s one of the single most regrettable Marvel Unlimited misses! Note for trade collector’s, that the Marvel Masterworks Defenders collects those previous 2 Sub-mariner issues as well. Dracula fights the Silver Surfer. I’ll be here when you get back. Steve Englehardt solo Surfer series. Graphic novel from Stan Lee and John Buscema, in which each page is a splash panel. There are a lot of good looking Silver Surfer stories out there, but it’s darn near impossible to top Moebius here on this ambitious and thematic graphic novel penned by Stan Lee. IV) Jim Starlin’s Marvel Cosmic Takes Over! Rebirth of Thanos – Jim Starlin’s first arc on Silver Surfer. You may want to also check out my Thanos reading order for the best of both worlds. Leads up to Infinity Gauntlet. Sadly not on Marvel Unlimited! Another unheralded (teehee) Marvel OGN from Jim Starlin. Published during Infinity Gauntlet. Note that Silver Surfer essentially runs for the remainder of the 90’s, up over 100 issues, but sadly none of those are on MU. Louise Simonson miniseries. Another notable gap in the MU library. As a part of Jeph Loeb’s “Resurrection of Galactus” storyline. I’m going to rep for Christopher Priest’s Black Panther any chance I get. New ongoing Silver Surfer series is launched. I’d just like to point out that Cable breaks the Silver Surfer’s surf board. The Comic Book Herald Marvel Cosmic guide is your best bet for all involved comics here! To my knowledge, this is an out of continuity “Final” Surfer story from JMS and Esad Ribic. It’s a really solid miniseries, I’d highly recommend. This doesn’t get anywhere near the accolades of “The Death of Captain Marvel” but it’s not an unreasonable comparison. Greg Pak short-lived solo Surfer series. Matt Fraction and Terry Dodson. One of Marvel’s digital only Infinite comics, this issue launches the new Slott and Allred Surfer, and has one of my favorite Norrin Radd jokes of all time. No really, Silver Surfer shows up at a Moon barbecue. Dan Slott and Mike Allred, with a pretty great Surfer meets Doctor Who cosmic joyride. This series will take you right up to the Last Days during Secret Wars. 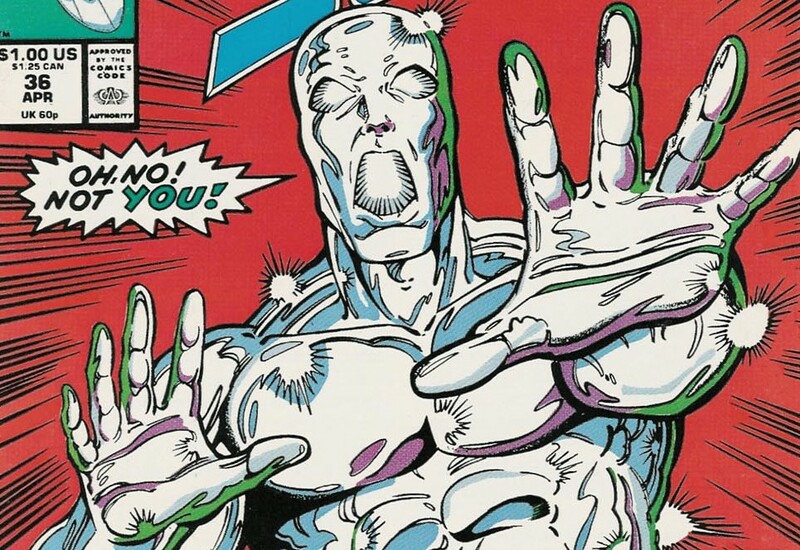 I would also recommend the “what if” silver surfer had the infinity guantlet. I know is a what if, but it’s damn good. Also I like the green lantern/silver surfer crossover mini graphic novel thing. (Parallax and thanos) When does paks “devolution” come in? Oh, I see, pak’s run is before annihilators. But as an earnest college student in the early 90s, I devoured the cheapie back issue reprints of the Lee/Buscema Surfer. Big John does an especially good job on #3, the Mephisto issue. His original pencils for #4, the Thor issue, were reportedly much better than what saw print after Stan gave Big John some rather tactless criticism. Except for #3, none of them hold up very well either way, in my opinion. Englehart’s Surfer run was a huge disappointment to me, and Starlin’s run makes me sick, including and especially the Thanos stuff. Ha, I didn’t really go on to explain, but I liked those issues! One of the first Marvel Essentials I picked up, and while it didn’t hit like Ditko and Lee’s Doctor Strange, the Surfer was a formative comic for sure. Interesting background on the Stan vs. John dynamics! Thanos quest is up there as one of my favorites of all time. Also, when I was little, I had never read anything before the infinity gauntlet. so a few years ago I got back into comics and decided to read the rebirth of thanos. I loved it. Could have done without the impossible man stuff, but still awesome. So, i would say that maybe rebirth is a little dated for a re-read, but thanos quest totally holds it’s own. In fact, a buddy of mine who I turned on to cosmic marvel stuff recently, just read thanos quest and said it was maybe his favorite if all I had given him to that point (70s warlock/thanos/captain marvel, annihilation, secret wars, parable and several other goodies). Of course, we are both avant garde musicians in our 30s who are obsessed with psychedelic weirdness, so maybe that’s why it suits us. I would never recommend silver surfer to a red blooded, more conservative type, but art majors, acid heads, stoners, or whatever your average “liberal weirdo” is called should read it. Ps- anyone watch that comic book men show? There was this episode where Jason mewes was basically like “no I never really liked silver surfer” and that Walt guy was surprised. 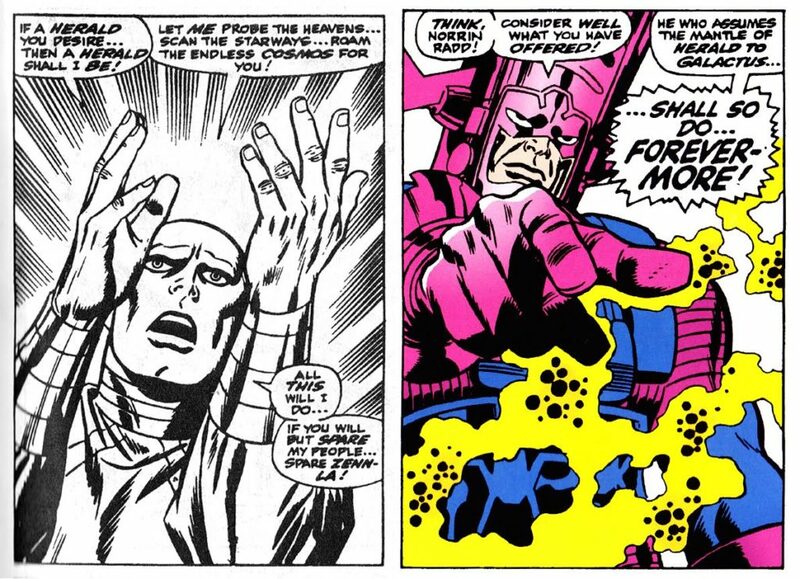 I genuinely don’t remember the Impossible Man playing a role in Thanos Quest, which means it’s clearly time I reread. I know the conversation he has with The Gardener was my favorite at the time.